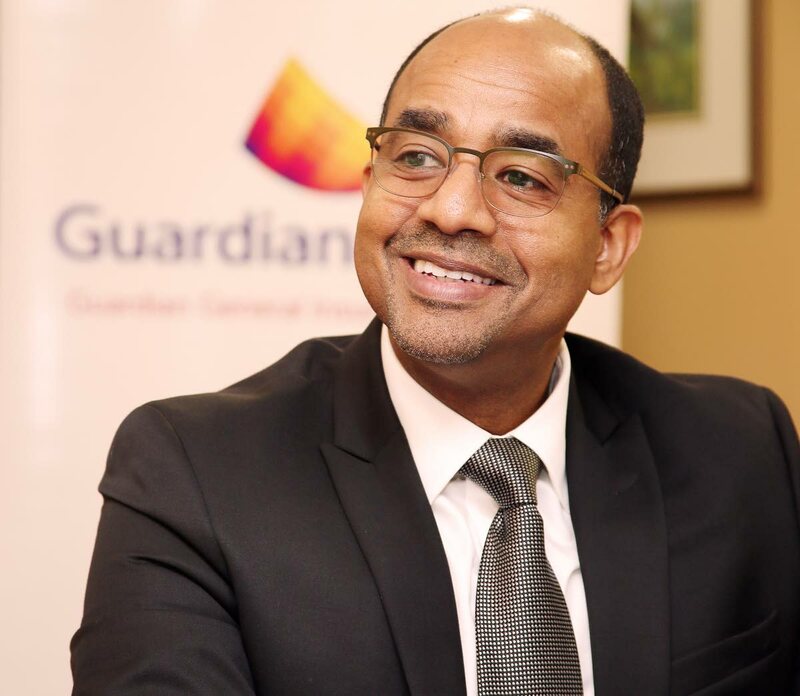 Guardian General Insurance Ltd (Guardian General) – a subsidiary of Guardian Holdings Ltd (GHL) – has a new president, Dean Romany and he's leading the P Five Mission to enhance efficiency and customer service. People, purpose, process, passion and performance – in that order – make up the P Five Mission. Appointed president on May 1, Romany previously served as group chief risk officer. 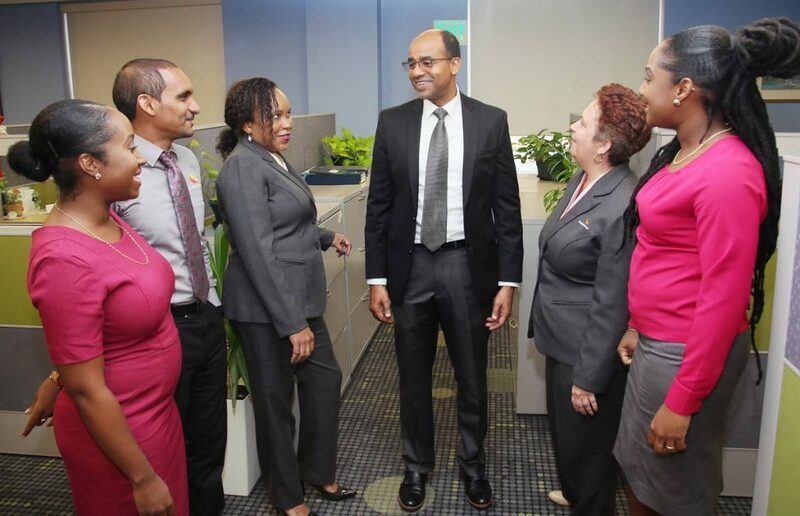 Seated in a conference room at Guardian General's corporate offices on Maraval Road, Port of Spain, Romany's passion for general insurance and the P Five Mission was evident during his recent interview with Business Day. "General insurance is perhaps the most exciting and broad-based (sector) – the closest comparison would be accounting – because it touches on every aspect of life. General insurance (covers) everything from your camera to your glasses, phone, jewellery, to your home, business place, liabilities such as if you slip and fall, workmen's compensation, the list goes on. "(The) first P in our P Five Mission is people. That's deliberate because the mission is about transforming Guardian General (into) a more efficient, interactive operation. One where employees aren't just focused, they're energised and passionate. So you'll find the customer experience is going to be a great one and everything else will flow from there." Romany then broke down each P in the mission. People top the list, he said, because a company's employees are the ones who actually execute strategies/have to achieve key performance indicators. "Focus on the people and life will be better because they are the ones who get things done. Our goal is to make the experience incredible for the policyholders and everyone else. Once people understand why they're doing something, the next P is purpose – people need to have a purpose and they need to understand that purpose. "Process comes next. Things must be done in an efficient environment, poised for seamless transition of transactions – process-efficient. You also need passion. Having passion, anything you do, you'll be successful. And the fifth P is performance. Do all four previous Ps and you'll get the fifth, you get the results." The push for greater efficiency isn't just about making clients happy, it forms part of Guardian General's strategy in dealing with higher re-insurance rates in the aftermath of events such as 2017's hurricanes Irma and Maria. "In TT and the wider Caribbean, there is increased regulation, a lot of increased catastrophe activity and with that, comes increased costs because the wholesalers who we buy insurance from – you buy re-insurance and you then sell insurance – they're increasing their prices because they are paying a lot of hurricane claims, et cetera. So we need to find a way to be more efficient, we need to cater for the future policy holders." Recalling the devastation caused by Hurricane Ivan in 2004, Romany told Business Day, Guardian General paid out "just over $1 billion in claims". Many of those claims came from customers in Grenada and the Cayman Islands – arguably the worst-affected by Ivan, which was a category five storm at its peak. "Last year, we had Irma and Maria, which affected a number of islands as well. The main ones being the US Virgin Islands and the British Virgin Islands. In total, we paid just over $2 billion in claims regionally last year." President of Guardian General Insurance Ltd Dean Romany with members of staff from the Claims department at the company's Maraval offices. Paying out such large overall claims has an effect on an insurance company's bottom line, something which can be mitigated by the size of its operations. On its website, Guardian General describes itself as "the largest indigenous property and casualty insurance company in the region." 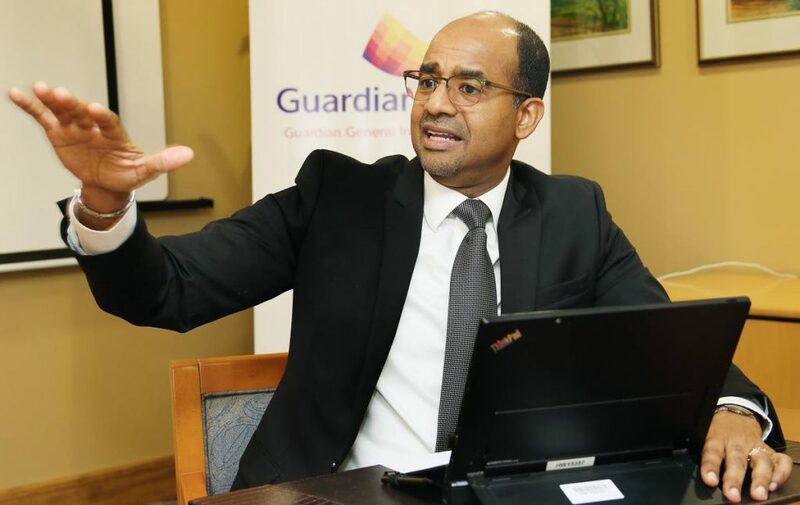 Referring to this, Romany explained that "the market, for those that operate in TT and that have regional business, is about $3.3 billion in overall gross premium written, of which, from a regional standpoint, GG has a 35 per cent market share. "The size and spread is very important when you have significant losses, as we did with Ivan. Even though we paid just over $1 billion in claims, we still made a small profit – less than $1 million – rather than reporting a significant loss." Similarly, because of its spread, Guardian General was able to continue without any impact at all on its balance sheet last year, even after paying out just over TT$2 billion in claims. Looking at the local market, Romany said using 2017 figures, "The total market is about $2.6 billion and we have 26 per cent of that – all classes of business – which is the biggest overall market share of any general insurance company operating in TT." Guardian General, Romany added, has the largest property share and the largest motor share. "Our property market share is 39 per cent and our motor market share is 15 per cent – we are working on growing our motor share." Reply to "The general of General Insurance"